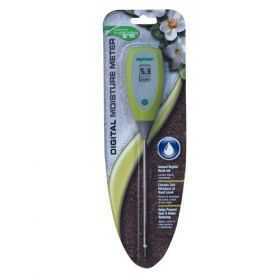 The Rapitest® Digital Moisture Meter tests for moisture at the roots - where it matters - you no longer risk over watering a healthy plant just because the soil near the surface is dry or under-watering because it appears moist. Ideal for houseplants, window boxes, patio tubs and hanging baskets. Instant digital read-out.